Showing no letdown from last Friday’s inspiring performance against then-No. 5-ranked North Carolina, the University of Hawai’i men’s basketball team shot past interstate rival UH-Hilo, 86-55, Tuesday night in non-conference men’s basketball action. 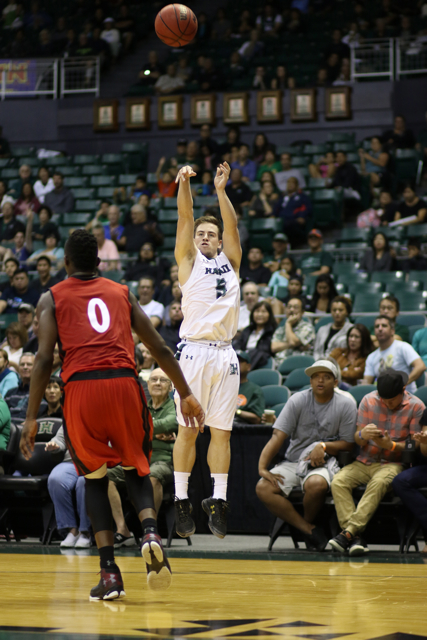 A sparse crowd of about 2,900 at the Stan Sheriff Center watched Noah Allen score a game-high 24 points with 10 rebounds and Sheriff Drammeh add 16 points and four assists as the Rainbow Warriors improved to 3-2, while the Vulcans fell to 1-3. Allen scored 16 points on 6-of-10 shooting (including 4-for-7 on 3-point goals) in the first half, after which UH led, 45-24. Drammeh had 11 points by halftime, including a perfect 3-for-3 from 3-point range. “I was just taking shots, my teammates did a great job of finding me when I was open and they just started going in tonight,” said Allen, who added three assists, three steals and two blocks. 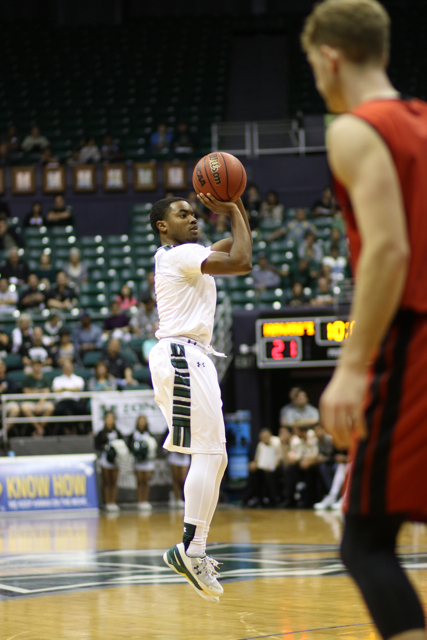 As a team, the Rainbow Warriors shot 16 of 32 from the field in the first half, including 9 of 18 from beyond the arc. They also out-rebounded the smaller Vulcans, 21-11, including a 6-1 advantage off the offensive glass. Hawai’i finished the game with 13 3-pointers, which was one short of the school record. All 12 Warriors who saw action in the game scored at least one point. Allen’s 3-pointer from the left wing a minute into the game ignited a 9-0 run capped by Drammeh’s two free throws that put Hawai’i ahead, 11-2, two minutes later. Hilo later closed it to 14-7 on Randan Berinobis’ short bank shot with 16:10 remaining in the half, but the Rainbow Warriors answered with a 7-1 surge capped by Ido Flaisher’s jump hook to stretch the lead to 21-8 with 11:26 left. Hawai’i coach Eran Ganot said his team’s fast start was satisfying. A 9-1 run bookended by Stepteau 3-pointers later extended it to 30-13 with 8:35 remaining, and Allen drained back-to-back 3-pointers near the end of the half to make it 45-22 with under a minute remaining. The Vulcans could not get closer than 19 points in the second half. 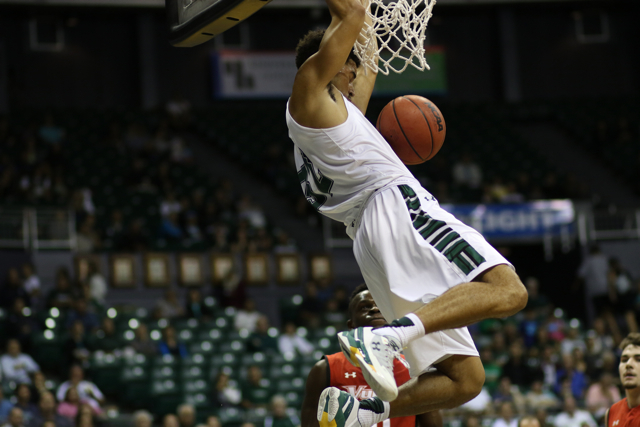 Gibson Johnson added 14 points and eight rebounds for the Rainbow Warriors, who finished with 24 team assists on 31 made baskets. 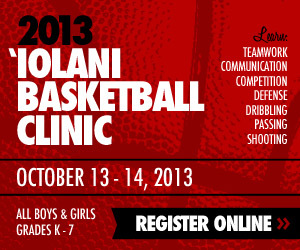 Brian Ishola led the Vulcans with 18 points. 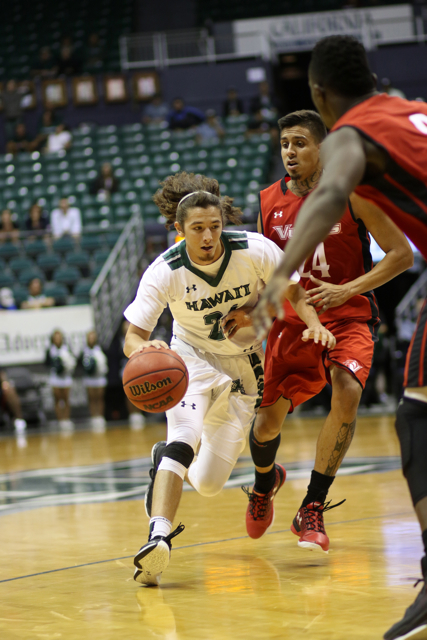 UH-Hilo senior guard Parker Farris entered the game averaging 27.3 points per game, but was held to five points on 1-for-7 shooting. Junior forward Darius Wilson-Johnson entered the game averaging 20.7 points per game, but was limited to four points on 2-of-10 shooting. But as always, Ganot said there is room for improvement before Friday’s 8 p.m. game against Troy at the SSC. This team keeps looking better and better each game. I wish the NCAA would make up their minds and get this team in the playoffs. This is exactly the kind of team that can do damage and pull off big upsets! UH is 194 in the Pomeroy rankings. UCI is 134 and LBSU is 173. Troy is 264, Pine-Bluff 347. Seton Hall, 35 and Princeton, 47.